Steven Mitchell is the Children's and Youth Development Officer. His role is to support, develop and celebrate the children’s and youth work of the Synod. 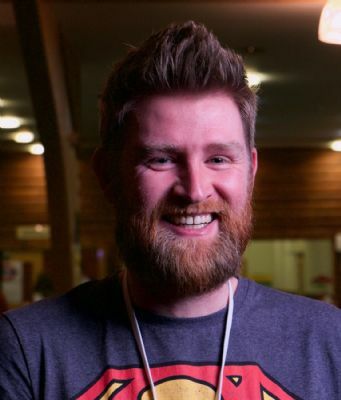 Steven explained, "I've been involved in youth and children's work in a variety of contexts, both paid and unpaid, for the last 17 years and it's great to be part of a church denomination that champions children and young people." Whether you have or don't have children or young people in your church, Steven would love to come and visit you and find out how we can develop things further. Below is a list (not exhaustive) of the different ways he can help and support the work you're doing. If you would like Steven to come and help with any of the above or anything that's not on the list, or would like to speak to someone about anything children's or youth work related, please get in touch. Steven Mitchell, Children's and Youth Development Officer, email cydo@urcmerseysynod.org.uk, Tel: 07387 580834.